Women warriors at a tire fire blockade on Hwy 11, Dec 2, 2013, during resistance to SWN exploratory work for fracking. 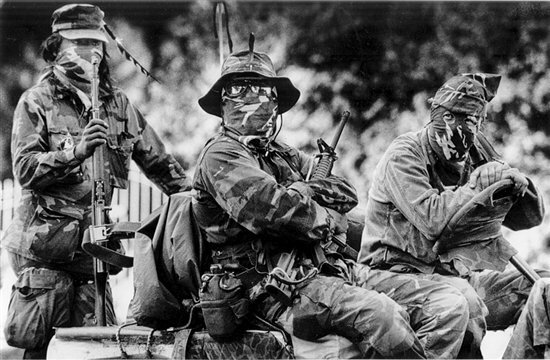 Warriors at Oka, 1990; the 78-day armed standoff at Kanesatake, Mohawk territory, continues to haunt government and corporations in their dealings with Indigenous peoples. KANESATAKE — Behind the barricade at the entrance to the Pines, Denise David tossed and turned, dreaming of a deadly melée between unknown foes. Her nightmare was about to come true. 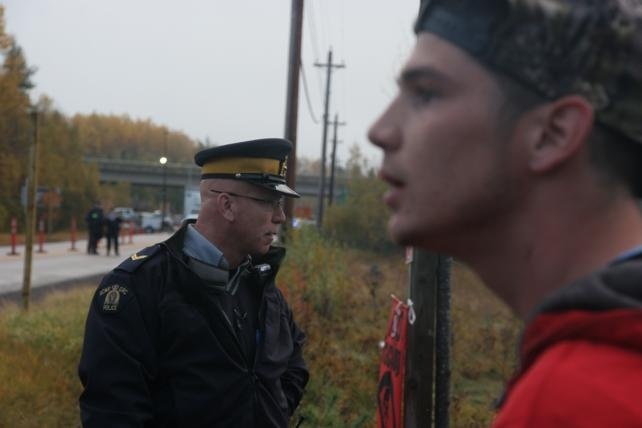 Germaine Breau looks on during the RCMP raid of Oct 17, 2013, when he was arrested. October 2013 the Royal Canadian Mounted Police descended on a peaceful anti-fracking protest led by the Mi’kmaq of Elsipogtog and their allies. In this film the voices of some of the people involved in the anti-fracking movement talk about what happened and why they took the stand against hydraulic fracturing and how the heavy handed police response has affected their people. Aaron Francis (right) and Germain Junior Breau (left). 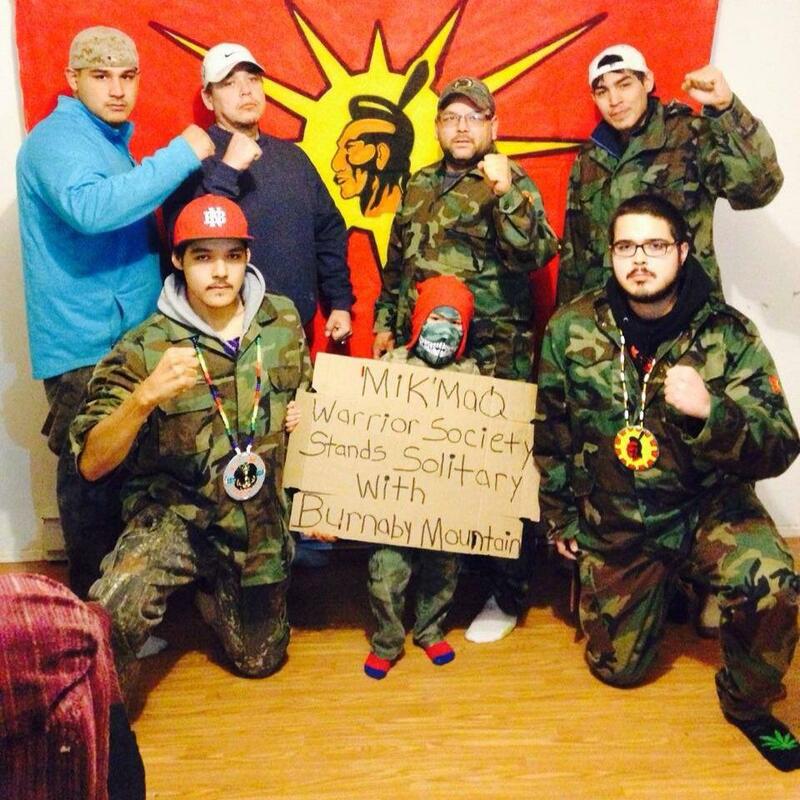 Our Mikmaq warriors are requesting the assistance of the people for help. They are requiring some assistance with their canteen funds. 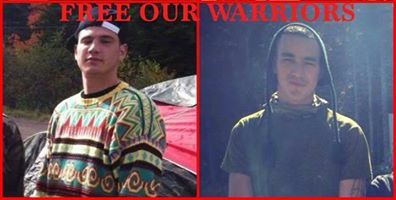 Germain junior Breau and Aaron Francis, members of the Mikmaq Warrior Society have been incarcerated and held as political prisoners of war since the raid of their encampment in Un-ceded and un-surrendered Mikmaq territory on October 17th, 2013. They are currently the only two political prisoners of war in so-called Canada. Two anti-shale gas protesters charged in connection with a violent clash with police near Rexton last fall have been found guilty of some of the charges against them, and not guilty others. Germaine Junior Breau (left) and Aaron Francis (right). Two anti-shale gas protesters will have to wait until next week for a verdict, all because of an osprey nest. 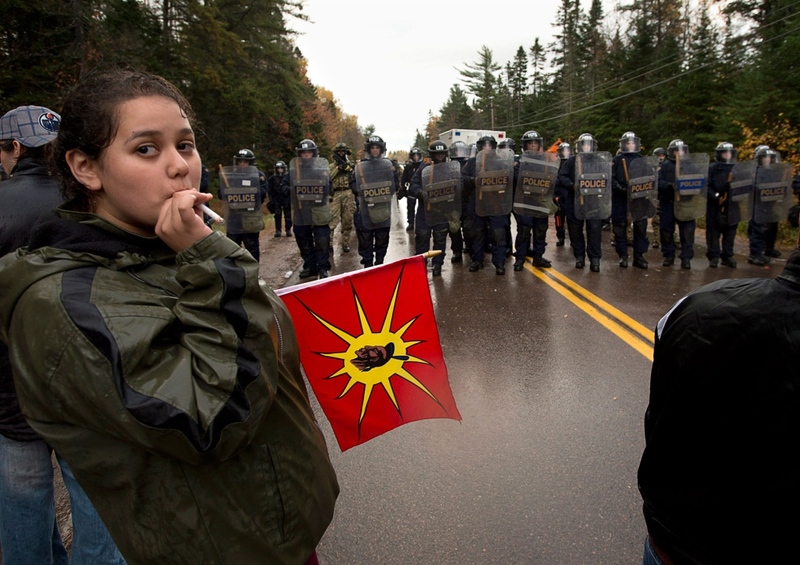 Germain Junior Breau of Upper Rexton, N.B., and Aaron Francis of Eskasoni, N.S., are being tried together on a number of charges related to a clash between police and protesters on October 17, 2013. The verdict that was supposed to be handed down by the judge on Thursday was postponed because of a power outage that occurred June 9 in Fredericton. Three days earlier, an osprey built a nest on the power lines, which caused power problems for days. 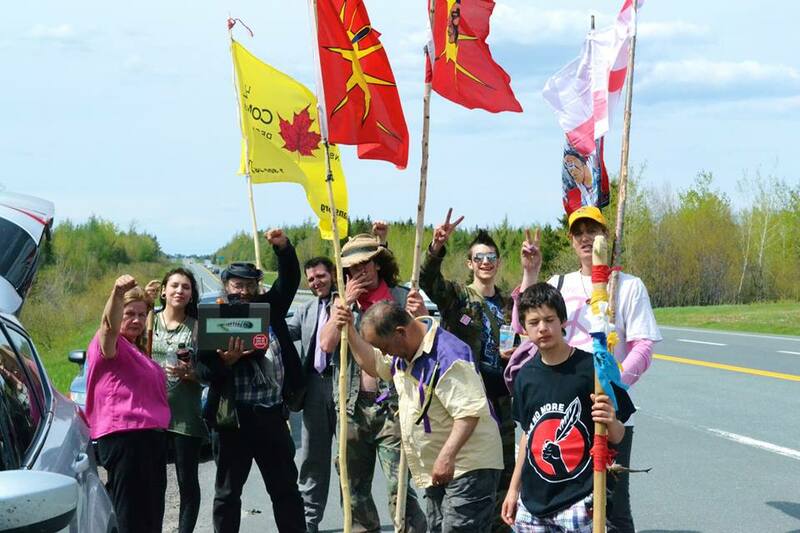 A small group of anti-shale gas protesters started a three-day march from Elsipogtog First Nation to Moncton on Friday, to hand deliver letters to SWN Resources Canada. They say their message hasn’t changed — they want SWN to stop its shale gas exploration activities in Kent County.